Happy New Year! So I made a new discovery a couple days ago that I HAVE to share with you. I was planning to not release a new blog this week but I just had to tell you about this show. Disclaimer: Admittedly I don’t watch THAT much Netflix, to begin with (at least with shows that interest me due to the fact that I have young kids and a limited amount of personal time.) I might watch a movie – or two – a month but it’ll take me a couple of sittings to finish it. That being said, I’m still going to recommend this show to you. It’s such feel-good television. There are some things that I like to watch but if I watch too much of it, it bothers my spirit. (Like true crime programs). Back to the point. 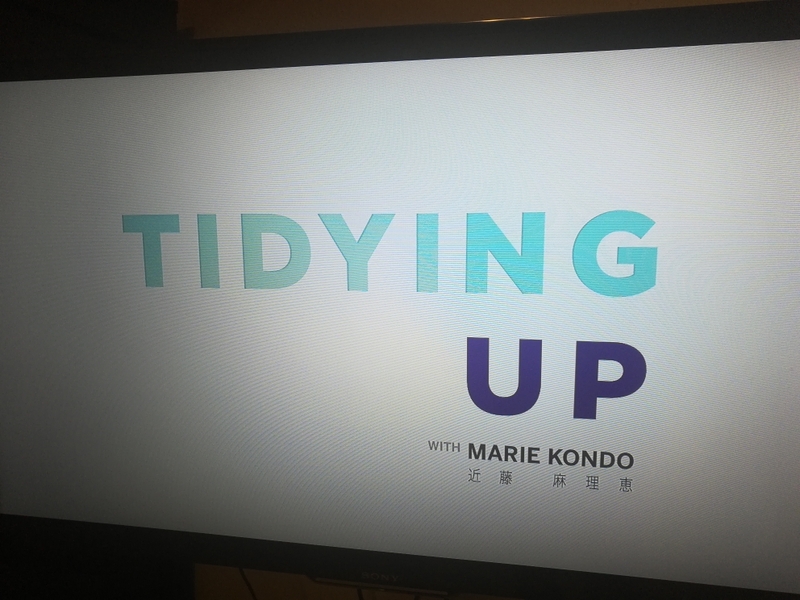 So my favorite Netflix show right now is Tidying Up with Marie Kondo!!! Something about the narrator’s voice at the beginning of House Hunters on HGTV. Similar to the House Hunters voiceovers: Tom and Cheryl are looking for a home in a ritzy area of Houston, TX complete with large yard for their 4 dogs and large office space for Cheryl’s love of scrapbooking. Their home needs to be close enough to Tom’s job as an architect but has enough acreage for their two horses. (I just made that up.) Anyway if you watch House Hunters, you know that voice. The style of filming on Tidying Up is also HGTV-esque. Marie Kondo is a Japanese organizational consultant and author. Differing from minimalism, in which the goal is to live with less stuff and not be as materialistic minded, Kondo understands that people have stuff and is okay with that as long as it’s organized. Her mantra is keeping things that bring you joy. In the opening of each show, she says, “…your house is not clean by item but by location.” She focuses on 5 general areas: Clothing, Books, Paper, Komono – kitchen, bathroom, garage, and everything miscellaneous – and Sentimental items.